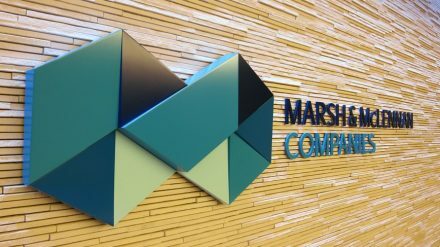 Marsh and McLennan has made an offer for JLT, one of its global broking rivals, for £4.3 billion (US$5.6 billion) in cash, or £19.15 a share. The deal has been accepted by more than 40% of JLT’s shareholders, including Jardine Matheson, and the amount is a 33.7% premium on JLT’s closing price on September 17 of £14.32. JLT, which has reinsurance broking, employee benefits and speciality divisions, made £89.4 million pre-tax profits on £713.5 million of revenue in the first half of 2018. Assuming regulatory approval is granted, Marsh says the transition will be completed in spring 2019. The broker then plans to realise an annual US$250 million of cost synergies over the next three years after spending US$375 million on integration. Marsh has said it will cut between 2% and 5% of the combined workforce. Burke will join MMC as vice-chairman and serve as a member of MMC’s executive committee. Marsh has more than 65,000 staff across 130 countries, while JLT employs over 10,000 staff in 40 countries. The acquisition will be funded by a mixture of cash and debt financing.